F.A.I.T.H. - Michelle Mechem - F.A.I.T.H. Michelle Mechem is a Residential Realtor in Atlanta, GA. Prior to real estate she spent ten years in Accounting Management between Arthur Andersen and VIACOM. In 1999 she was voted WUPA-TV Atlanta’s employee of the year. After helping others run their businesses she decided to start her own and began a career in real estate in spring of 2002. 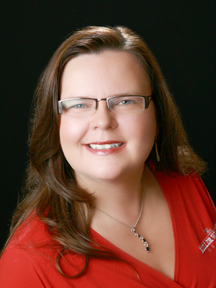 She joined Keller Williams Intown Atlanta in November 2002 and joined forces with Hunter as a partner in the Hunter Group in May of 2003. In their first full year together, they were the 6th highest producing team in the Southeast Region. She specializes in Atlanta’s Intown neighborhoods and the close-in suburbs. She believes home is the starting place for a fabulous life and works hard for her clients to both buy and sell their biggest investment. Michelle has always had a passion for writing and was the Real Estate Columnist for The Sunday Paper, a weekly newspaper, from 2005–2008. She also began the blog www.ThrivingInRealEstate.com to assist other agents with their business. She began officially coaching in April 2009. She is married to Robert Mechem, car whisperer and restoration wizard extraordinaire. They ride motorcycles, travel, and squeeze every drop of joy possible out of life. They live in a historic school circa 1900, in the Kirkwood neighborhood of Atlanta, with their mountain lion-sized cats Rocky and Ding.